The Tax Foundation has released a new report that looks at the effects that tax credits for higher education have had on the rising costs of college tuition. The report explains how the credits have expanded, how they disproportionately benefit higher income families, and how they have failed to stop the increase in student loan debt. Additionally, it examines how, instead of being a helping hand for students, tax credits have turned into a windfall for universities. College tuition plus room and board has grown by approximately 70 percent in the past decade. 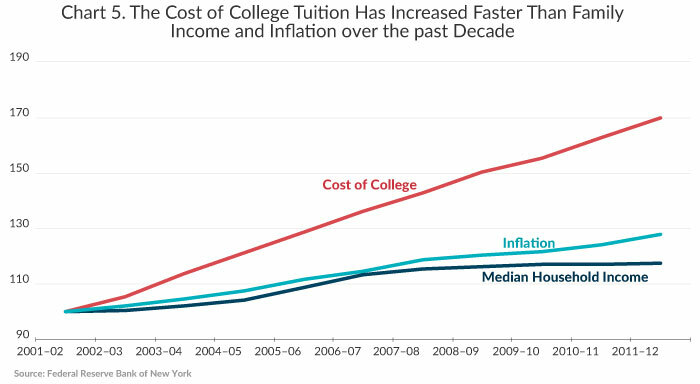 The rate of increase for tuition costs far outpaces the inflation rate and doesn’t appear to be slowing down anytime soon.